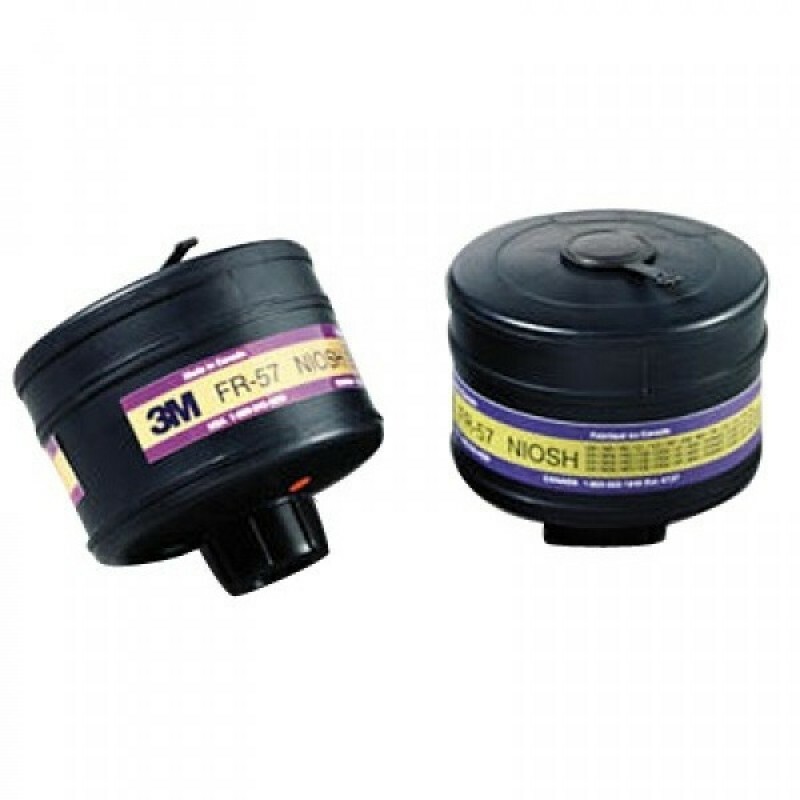 This canister is used with 3M Breathe Easy Hood Systems 57C10 and FR-57N10 and RRPAS 6000 series products for protection against Organic Vapor, Acid Gas (Sulfur Dioxide, Chlorine and Hydrogen Chloride), Ammonia/Methylamine, Hydrogen Fluoride, Chlorine Dioxide, Formaldehyde. Can also filter a wide range of chemical warfare agents such as: Nerve, Mustard, Tear and Blood agents; Chlorine, Phosgene, Chloropicrin, and Diphenylchloroarsine. 6 per case.